Capcom has another big hit on its hands. 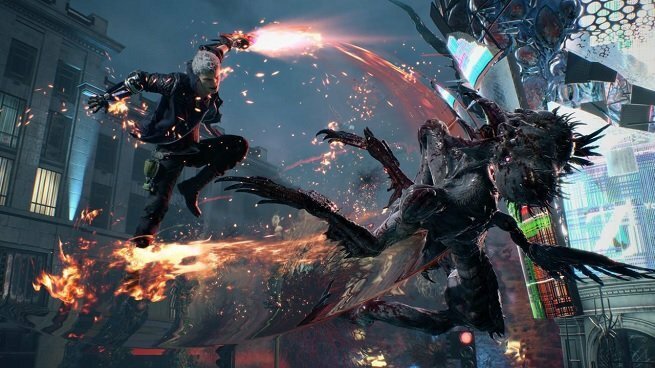 Devil May Cry 5 has been raking in the rave reviews, and it’s safe to assume that this is going to go down as one of the most celebrated action games of 2019 — that is, as long as you own a PS4, Xbox One, or gaming PC. Nintendo Switch owners have yet to receive any Devil May Cry games from Capcom, but that could change if another Capcom port sells well. Forgive me for interjecting my personal opinion here, but let me just say that I hate it when developers dangle their projects over the heads of fans like this. “If you really want this game, you’ll go out and buy this other game from a totally different series, in a different genre.” It’s the worst kind of marketing (can we even call this marketing?). Mega Man, Monster Hunter, and Okami have already proven to be top-sellers on the Switch. Capcom has a hungry fan-base there; we have nothing left to prove. That said, Dragon’s Dogma: Dark Arisen is a totally safe bet, and very likely worth your money. The game itself is critically acclaimed and widely loved by fans. As long as Capcom produces a competent port, I see no reason why Dragon’s Dogma shouldn’t do very well on the Switch. If Capcom really wants to gauge their audience on the Nintendo Switch, it will release a few Devil May Cry remasters. Now that is something we’d love to see.